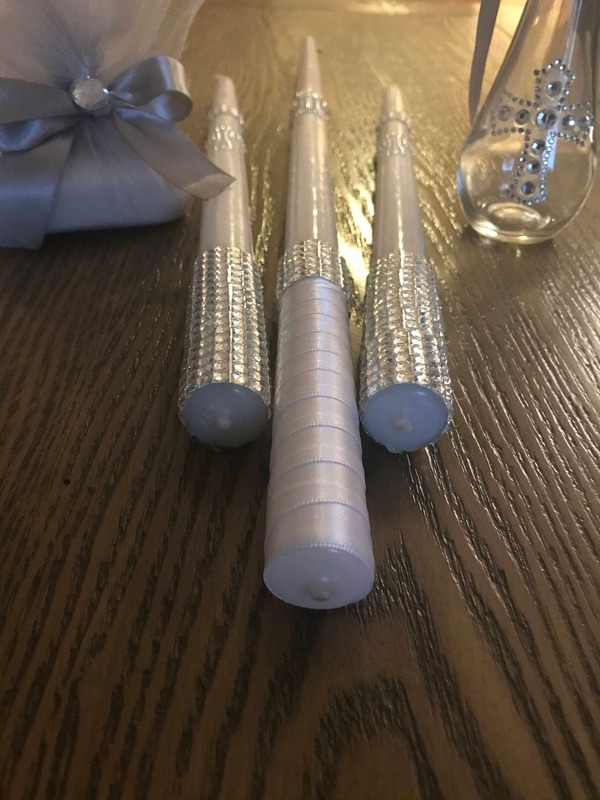 One 24" white taper candle delicately wrapped with double sided satin ribbon and rhinestones. 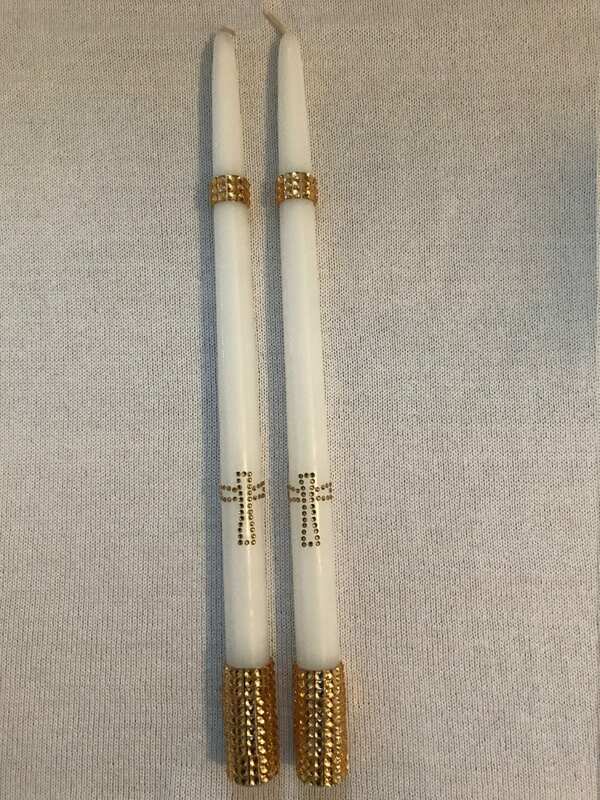 Large matching rhinestone cross is placed in the middle of the cross. 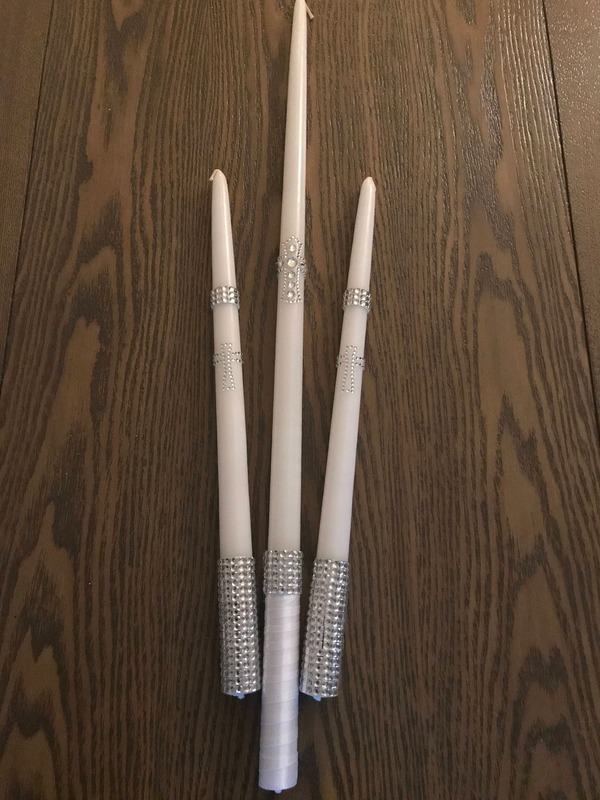 Two 15" or 18" white taper candles wrapped with rhinestones. 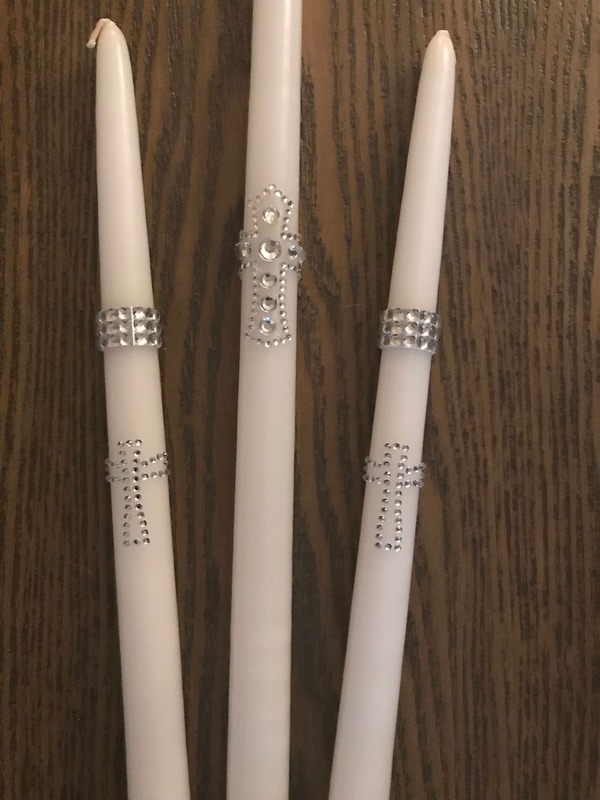 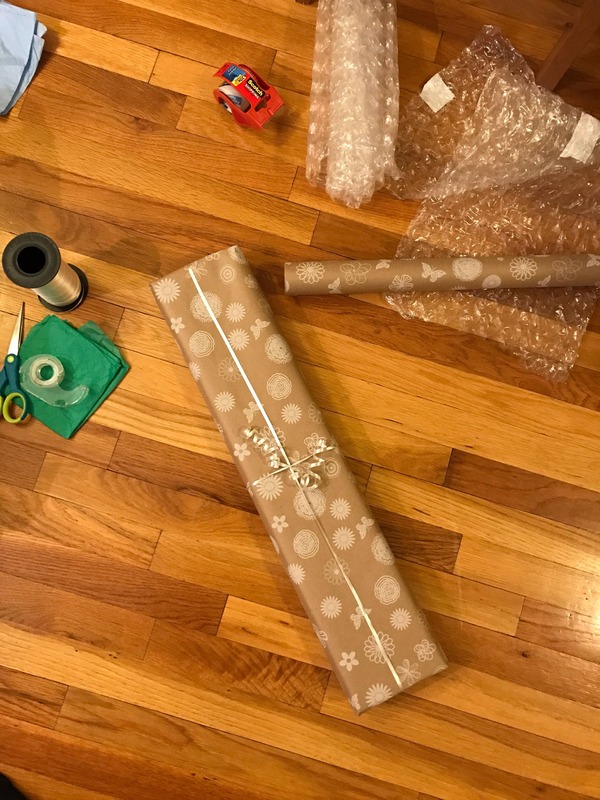 Matching rhinestones are placed in the middle of the candles and a rhinestone band is wrapped on the the tops of the candles for a final touch. 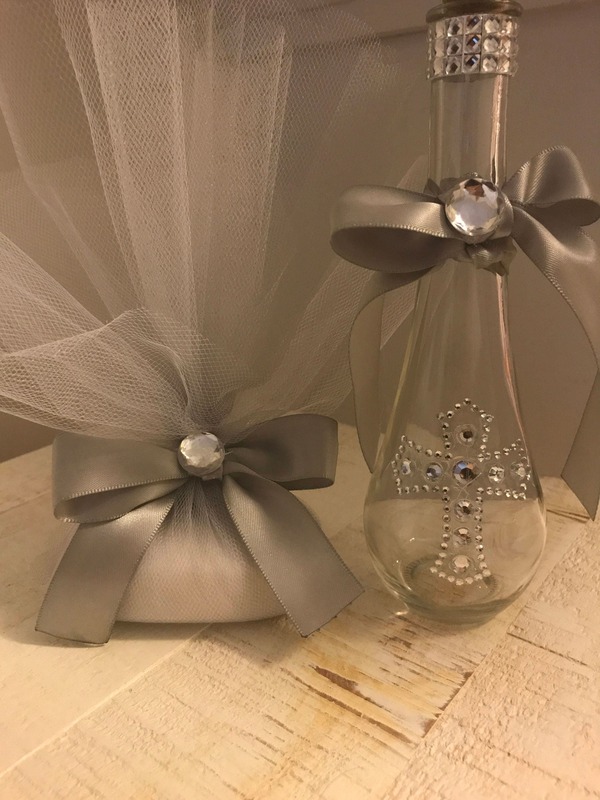 One unscented bar of soap (Dove) wrapped with tulle and tied with double sided satin ribbon. 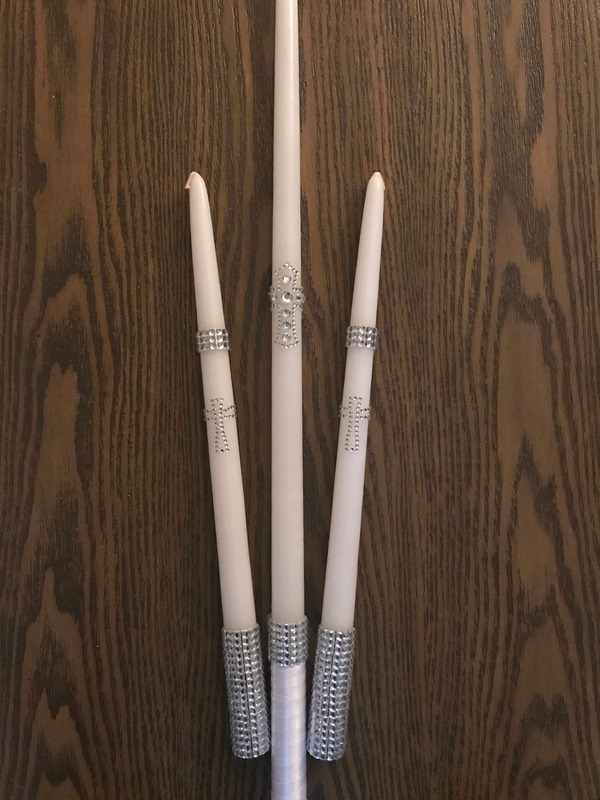 *you can purchase the candles by themselves. 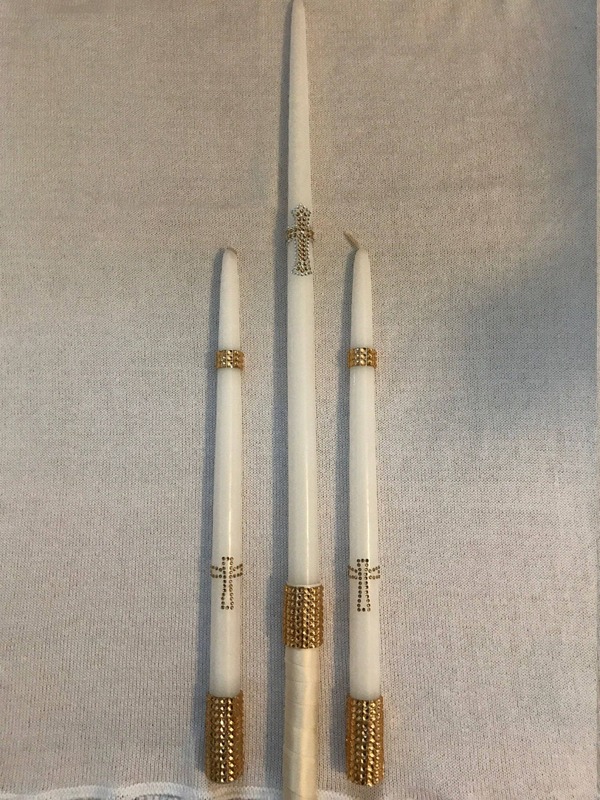 See further listings for pricing. 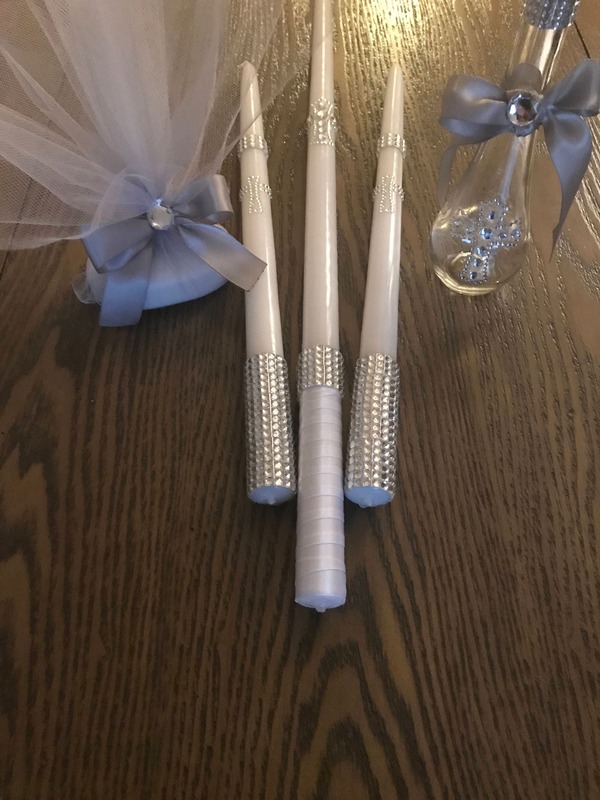 What you see in the photos are samples; I will re-create your candles as close as I can to what you see, or in any variation you would like.